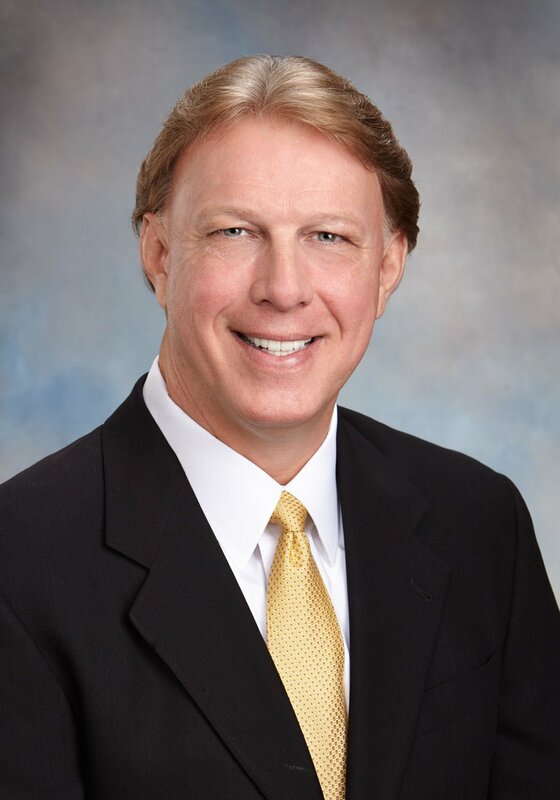 Donald Schrotenboer is president of Private Equity Group. He spoke with the Sun about the imminent real estate closing PEG anticipates with the county worth $11.6 million for the purchase of 453 acres in Murdock Village. The county has granted PEG rights to build 2,400 units of housing along with 200,000 square feet of commercial space. PEG must meet timeline requirements in a 2016 contract. In its 2016 contract with the county, Private Equity Group submitted this proposed layout for housing and commerce on 453 acres north of State Road 776 in the undeveloped center of Port Charlotte. PEG is expected to close by March of April on the sale of the land, paying $11.6 million. It could get back that price in exchange for building roads, sidewalks and other infrastructure work. PEG expects to hand over development of the residential sections to other construction companies, which will decide what kind of housing to build. The county has authorized up to 2,400 units of housing, and 200,000 square feet of commercial space in this section of the redevelopment zone. Murdock Village is more of an overgrown jungle today than it was 16 years ago. That’s when the county announced it intended to buy all of the 4,000, 1960s-era lots on the 1,100-acre zone. The goal: create modern Port Charlotte’s first downtown. “We sorely miss having an area like that,” said former County Commissioner Sara Devos, who was a commissioner in 2003 when a plan for Murdock Village was set in motion. Two would-be developers backed out of deals, and then the county’s dream suffered a near fatal blow when the economic recession hit in 2008. Since then, the land has been left dormant. Meanwhile, the county is still paying off the $128 million purchase price. “I wish that it was there 10 years ago,” Devos said of the new development that is poised to begin. A new set of county officials runs the show today, and they are confident at least one developer will break ground this year. That developer is Private Equity Group, and its designated section of the jungle covers 453 acres. “We are cleaning up a few minor issues in anticipation of closing within the next few months,” said Dave Gammon, the county’s interim director of economic development. A $1 million milestone came and went. The 2016 contract had Jan. 20 as a deadline to close on the $11.6 million sale. That is the price for PEG to buy a large chunk of Murdock Village. PEG has already put down a $1 million down payment. PEG will invoke the contract’s six-month-delay option, however, due to permitting issues with the state Department of Transportation, PEG President Donald Schrotenboer said. 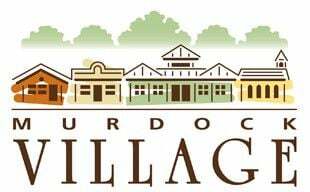 A closing date has been pushed to March or April, Gammon recently told the citizen advisory committee for the Murdock Village Community Redevelopment Authority. After closing, the contract requires PEG to get all its permitting and inspections done in 18 months. Even with the delay, current County Commissioner Stephen R. Deutsch said he feels confident about the deal with PEG. Another developer in the wings for a large section of Murdock Village is Lost Lagoon. Lost Lagoon is not as far along as PEG. It has not reached its real estate closing date. That developer is still seeking the county’s approval for an innovative downtown plan. PEG has already received county approval for its infrastructure rebuilding plan. After installing infrastructure, PEG’s contract with the county grants it permission to build up to 2,400 units of housing, including single family homes and apartments. On the commercial side, the contract allows 200,000 square feet, which would include a hotel. Schrotenboer said the intent is for housing of all types, including affordable apartments. But the county is not requiring PEG to provide all price points. The market will determine the mix, Schrotenboer acknowledged. “I find that troubling,” said Devos. “I wish that it would be required,” she said, of the full range of housing, including affordable. A controversial part of both contracts is that the county will give the developer back most or all of the purchase price for building roads, sewers, water lines, sidewalks, bike paths and everything to make a town center. The developers must also remove all of the crumbling roads laid down in the middle of the last century by General Development Corporation, which went bankrupt in the 1990s. Current commissioners justified the PEG deal, saying they believe a private contractor can do the road work quicker and cheaper than government. If PEG spends less than $11.6 million, Charlotte County keeps the change. If it costs more, PEG pays the price. Underlying that stress over giving away the land is the fact that the county is still paying off the Murdock Village loan. Officials had assumed the loan would be paid by development — not taxpayers — all these years that the recession left fallow. Also justifying the giveback to PEG, county officials point to $151 million in projected property tax benefits over 20 years plus $909 million in taxable sales. Rumors of a new recession, fueled by the recent government shutdown, have not dampened PEG’s enthusiasm about the project, Schrotenboer said. It really is the road permits from the state that slowed things down. The state has a lot of requirements for anything that is attached to its roads, he said, and PEG is planning on rebuilding O’Donnell Boulevard to connect to both U.S. 41 and State Road 776. PEG and the state have been working on how long entrance and exit lanes can be, he said. Charlotte County remains a location with great potential, Schrotenboer said, compared to its highly developed neighbors of Sarasota and Lee counties. Deutsch dismissed negative commentary on the economy, saying media pundits speak without facts. In the two years it has been working with the county, Schrotenboer said, PEG’s plans for Murdock have not changed noticeably. Once PEG gets the permits and closes the deal, the contract requires the company to start infrastructure work within 120 days, and complete it within 24 months. Schrotenboer believes it will take 16-18 months to do all the infrastructure work, after which, they can start on homes and apartments. “Generally, homes come first,” he said. Some commercial and retail construction will probably go on at the same time as residential space, Schrotenboer said. He could not say what kind of commercial projects would come first. 2002 - Charlotte County engages Urban Land Institute for solution to the problem of no way to encourage planned development on 260,000 small lots sold since the 1920s. ULI recommends buying up mostly unused land near the intersection of US41 and State Road 776. 2003 - County designates 1,100 acres of northern Port Charlotte as blighted, referring to miles of un-maintained roads, 97 percent unoccupied. Creates Murdock Village Community Redevelopment Area with plan to recreate region as a long-sought town center. 2003-2004 - County begins acquiring approximately 4,000 lots in Murdock Village. Plans begin for using eminent domain to acquire many of the lots for property with unclear title or unwilling sellers. 2004 - County goes to court to use eminent domain in acquisition process. Selects Lennar Homes as master developer. 2005 - Lennar withdraws from negotiations. Board adopts redevelopment plan. 2006 - County selects Stock Development as master developer, but Stock withdraws as real estate market falters. 2007 - Babcock Village developer Kitson & Partners submit proposal with plans for 4,000 residential units, a town center and a university site. 2008 - Kitson & Partners withdraw from negotiations. 2011 - County enters contract with Southwest Land Developers that includes a land swap of developed land in the Enterprise Charlotte Airport Park. Southwest negotiates for a water park. 2012 - Main Stage Development LLC proposes a music entertainment district, but later withdraws their proposal. 2013 - Deal with Southwest Land Developers ends due to problems with financing and difficulties in identifying underground utilities. 2016 - County Commissioners sign contract with Private Equity Group for purchase and sale of 453 acres in the Murdock Village redevelopment zone. Eighteen months allowed for PEG to inspect land and acquire permits for development. 2017- County commissioners sign contract with Lost Lagoon Development LLLP to develop 157 acres for a water park, hotel, commercial and retail space. 2018 - Lost Lagoon Development LLLP submits site plan to county for 157 acres of redevelopment zone, with plans for water park, commercial and retail space, hotel and performance space. Dec. 2018 - County rejects Lost Lagoon's preliminary site plan and asks for corrections. Lost Lagoon receives extension. Jan. 2019 - County commissioners acting as Murdock Village Redevelopment Authority, give right of way of canals around the zone, back to the county at request of PEG. This allows county to maintain canals and give PEG storm water drainage rights into the canal. Plus six months after Jan. 20, 2019: clause allowed for extension of closing date if PEG unable to acquire state and federal permits for infrastructure development. Plus 120 days after closing: PEG must begin construction of roads, sidewalks, pathways, landscaping, storm water management, water and sewer lines, lighting, demolition of old roads. Plus 24 months from infrastructure start: complete infrastructure. Plus 10 years from closing: build all entitled residential or commercial units or return entitlements to county. 1,100 acres: size of Murdock Village region. 81: number of homes that were in Murdock Village area before it was turned into a redevelopment zone. 453 acres: size of property Private Equity Group has option to buy. 157 acres: size of property Lost Lagoon Development LLLP has option to buy. 168 acres: amount of land left for the county to sell in the redevelopment zone. $11.6 million: price county set for land in Private Equity Group Deal. $11.6 million: amount county can give back to Private Equity Group to cover the cost of infrastructure build out. $1 million: amount PEG would lose if it pulls out of the deal. $6 million: amount county can give back to Lost Lagoon to cover cost of infrastructure build out. $250,000: amount Lost Lagoon would lose if it pulls out of the deal. $151 million: estimated property tax benefits over 20 years from PEG project. $909 million: estimated sales tax benefits over 20 years from PEG project.